Wang Molin （王墨林）is clad in a Che Guevara t-shirt, the same one angry teenagers and naive politics students across the world are probably wearing at that same moment. His manner is distracted during the Q&A, and, as in the interview we conducted with him previously, he brushes off any difficult questions with a sneer and a "Do I have to explain everything a thousand times? ", seemingly a smoke and mirrors technique to evade addressing any of the arguments directed against him. The assumption that anyone who disagrees with him is illiterate or locked into a capitalist ideology that only he and people who agree with him are able to see through makes conversation with him tiring. This was mirrored in the way the play was presented, tiring. There were a few very basic errors from a practical point of view that, given the director's long career in the "Little Theatre" (小劇埸), were preventable. These were little details, like a semi-transparent cloth hanging mid-stage with a light shining from behind it, that made the subtitles of the Korean dialogue in the play (the play was performed by a Korean theatre troupe) difficult to read, and resulted in people stretching their heads in different directions to try and look past the cloth. This wasn't aided by the reams of dry ice that were pumped out at random intervals throughout the performance, that made the subtitles slightly more difficult to read and triggered the asthma of a guy in the row behind me. The play was about an iconic protester in 70s' South Korea who fought for the rights of labourers and died at the protest and his mother's reaction to his death. Although the topic was interesting, it was delivered stiffly and the attempt to humanize the hero through the mother/son relationship didn't move me as it must have attempted to. The play read like a union propaganda film, with martyrs of the protest flashing up on the screen with rhythmic drums. It was then unsurprising to learn in the Q&A that the actors were in fact not actors but social activists and that the play had a very one sided political message to preach. This was then reinforced when Taiwanese "labourers" (I put quote marks around this word because in Taiwanese popular usage the word for labour "勞工" includes white collar office workers), who were basically people who had been hired by the government to do the same job as civil servants without the benefits of being a civil servant, bemoaned their plight. At one point one of them stated that their situation was worse than Korea in the 70s and worse than the plight of foreign labourers (外勞) and workers (工人) in Taiwan. Although to be fair I don't understand completely the nature of their situation, even though it has been quite high profile in the media, to be honest this seemed like a massive exaggeration as many of the plethora of documentaries about foreign workers in Taiwan can attest to. The preaching style of the play, did no justice to the issue, and the images and dialogue were cliche, reminiscent of the early works of Taiwanese literature and mainland socialist literature. The cliched dialogue and symbolism reinforced the image of the protagonist as an idealized hero, and had none of the depth of understanding of the disenfranchised classes of society of works like Arthur Miller's Death of a Salesman or John Steinbeck's Grapes of Wrath and Cannery Row. This suggests the distance of Wang Molin from the working class in Taiwan, as he only seems to conceive of them from a theoretical, iconic ideal as opposed to exploring them as more complex human beings with aspirations and vices. On my way home from the theatre I saw the director again, grabbing a beer by the roadside with a group of youths that I supposed to be members of the stage crew, still wearing his Che Guevara shirt, and most likely still spouting the half-baked idealism of a 1st year politics university student. 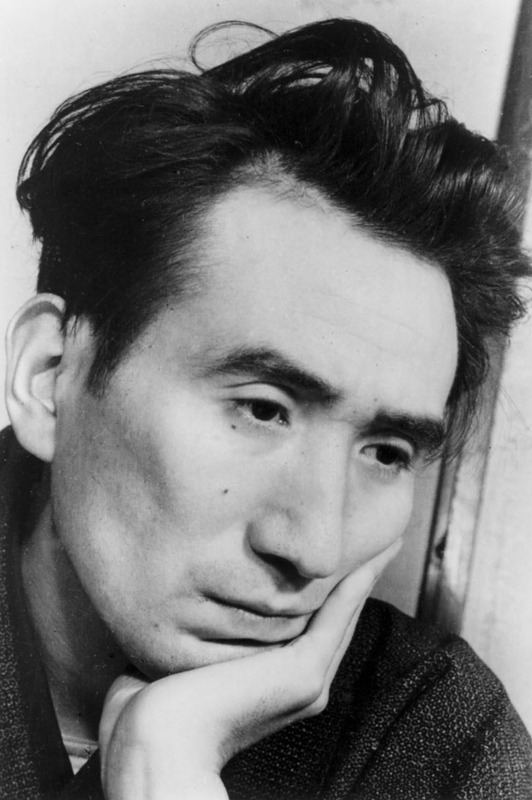 This film dealt with superfans of Japanese writer Osamu Dazai (太宰治). At first sight, given that the focus of obsession for these fans is an author and his novels, these fans might seem to transcend our expectations of the vulgarity of worshipping popstars, or cultural icons, it is soon clear, however, that this is not the case. The fans' obsession differs little from the teenage girls who scream hysterically at boybands. Throughout the course of the documentary the fans consistently glorify suicide and death, all the characters in the film were slightly repugnant in this way. Suicide in the film was ironically portrayed as another way to become eternal, similar in a way to the very egotistical act of writing or to the very concept of American Idol. The dramatic pathos of suicide is an attempt to endow their empty lives with meaning; an attempt to supercede the boundaries of life and death. I remember one of my teachers telling us about a Chinese poet who tried to launch his fame by commiting suicide after the completion of his book, in an attempt to mimic the suicide of other literary greats in Chinese literary history, like Qu Yuan (屈原) and Lao She (老舍). His plan failed because his writing was so bad, so he garnered attention by his suicide but his work was quickly forgotten. Each of the characters implied that "they were writing" and are attracted by suicide and mental illness as a way of marking their imaginary genius. This marks their lives with melancholy and depression, which they suppose to be central to the creative project when it in fact is seemingly incidental to creativity. The character in the film who writes her blog believes herself to be writing something of great value, and ties this value to depression and suicide, but what she is writing is the mundane description of common depression. The film echoed Dazai's call for "Love and Revolution", the directors went on to explain that they had interest in Dazai for the French qualities of this very call. This call rang false for me though, as this urge to mark one's life in the taking of it, is in essence a strong statement of one's belief in the world; one has to believe in something to be subsequently disappointed in it. Every one of the fans seemed to me to be no different from those desperately untalented people who attend American Idol auditions with so much self-belief, only to realize that talent is not a state of mind. The message that the documentary communicated to me, was similar to that of shows like American Idol; to embrace the ephemeral nature of life, and renounce attempts to hold onto this world beyond the bounds of death and to live averagely.